My husband received new Black Diamond Trail Ergo Cork Trekking Poles for Christmas. 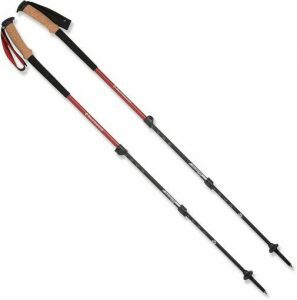 The trekking poles made a huge difference when we hiked in the Italian Dolomites this past fall, so we thought it would be good for him to have a pair of his own. The area has had terrible landslides and the trails were closed in some places. The mountain hike led us through all types of terrain, or as my husband commented “the Dolomites has complex geomorphology” Go figure.